1. Have you checked the filter? – Dirt is the number one cause of system failure. 2. Is the gas meter turned on with your local utility provider? 3. Have you made sure the electrical power to the house is on? 4. Are there batteries in the thermostat? – If the thermostat display doesn’t light up, change the batteries. 5. Did the circuit breaker get tripped? – Reset the breaker, if the breaker to your HVAC unit has been tripped. Keep in mind that circuit breakers trip for safety reasons and if the breaker trips again, a certified electrician should look into the problem. Many times, the breaker isn’t the problem, it’s something in the wiring pulling more electricity than it should. 6. Check the condensation pump and/or A/C drain line? – If it is full or plugged empty the pan and flush the drain line. An HVAC technician IS recommended for this. 7. Have you made sure the thermostat is set to cool or heat? 8. Is the outdoor unit dirty and/or filled with cotton or debris? Please note that articles from other places may mention more or different things to check, however, they most likely are not safe to check yourself. I just read an article where an HVAC technician died by touching the filter cabinet. They died just by trying to change the filter. Change a filter is normally a safe thing to do. If you ever question your safety when checking your HVAC equipment, call an certified and licensed HVAC company. What Should I Set My Thermostat To When I’m On Vacation? In light of my vacation to California coming up at the end of the week, I felt this was the perfect topic. It also doesn’t hurt that “What should I set my thermostat to when I’m away on vacation or I’m not home?” is a common question we hear from our customers. During the spring and summer months, people spend a lot of time on vacation. When these people come home, they don’t want to come back to an unbearably hot house. They especially don’t want to pay for unreasonably high energy bills when they haven’t even been home. Picking the perfect temperature setting while on vacation depends on what the homeowner normally sets their cooling system temperature at when they are home. When on vacation, the thermostat should be set a maximum of five degrees higher than the normal setting. For example, If it is normally set at 73 when they are home, the thermostat should be set it at 78 while they are away. This way energy is not wasted and the house won’t be overly toasty and humid when they return. It should be noted that cooling only changes the air 18 to 22 degrees, while heating changes the temperature 20 to 40 degrees. 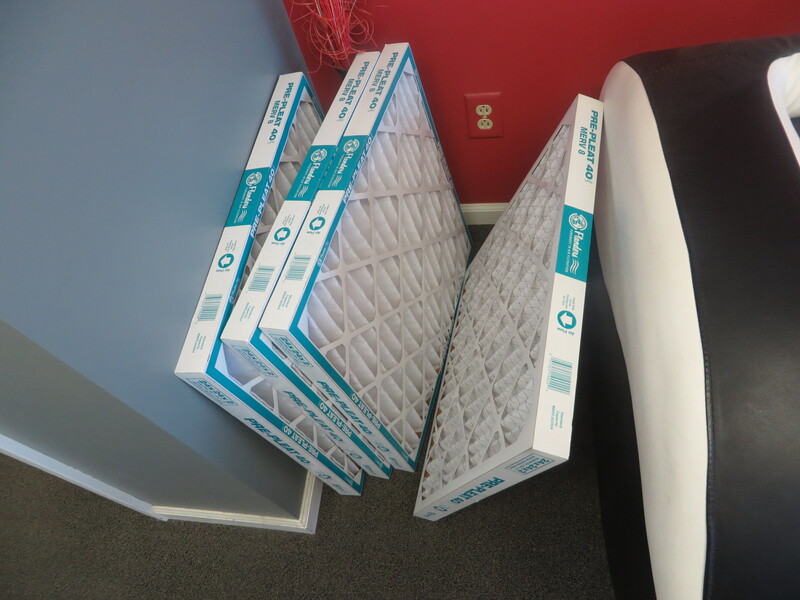 It is important to NOT completely turn off the air conditioner so humidity is still being removed from the home. This is because heat and humidity is the ideal breeding ground for mold, mildew, and fungus. Use your microwave or counter-top appliances for cooking chores instead of your oven or stove. Better yet, grill some burgers outdoors. Run your dryer and dishwasher at night instead of the day. Or let your clothes and dishes air dry. Also, wash only full loads. Keep out heat from the sun by keeping drapes, blinds and shades closed during the hottest parts of the day. After a shower or bath, use the bathroom fan to remove heat and humidity. Better to take short showers instead of baths. Set your thermostat as high as comfortably possible. 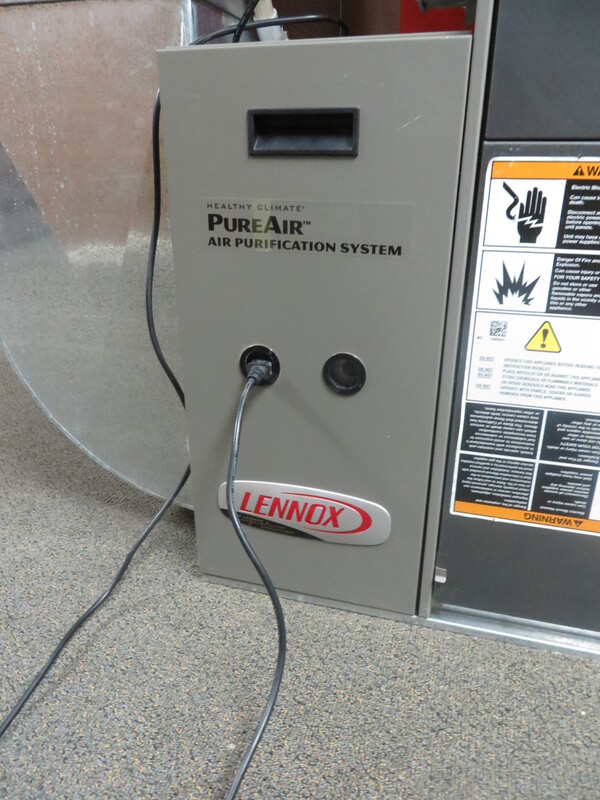 Each degree above 78 can save 6-7 percent off cooling costs. Also, don’t try to cool faster by setting a thermostat colder than normal. It won’t help and could result in added energy expenses and/or cause stress to the unit. 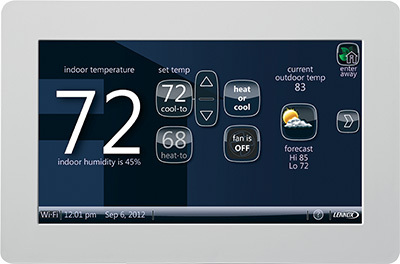 Install a programmable thermostat to save energy while you’re away and comfortable while home. Ceiling fans will create a cool breeze and keep air circulating in the home and, the Department of Energy says, will allow you to raise the thermostat setting about 4 degrees without reducing comfort. Replacing an aging central air conditioning with a new Energy Star qualified model can reduce cooling costs by 20 percent. To see how much you can save check out this Energy Savings Calculator. It will show you the difference between an old lower efficiency model versus a new higher efficiency heating and cooling system. Cooling and heating your home is a significant investment – typically, 44% of your utility bill goes just to keep your indoor climate comfortable. You can save as much as 10% a year on your heating and cooling bills by adjusting your thermostat just a few degrees at night. Or you can make this savings automatic by installing a programmable thermostat. This is especially helpful when you’re away (think Summer vacation!). By using a programmable thermostat, your heating or air conditioning is adjusted according to a pre-set schedule. As a result, you don’t operate the equipment as much when you sleep or when you’re not there. And that means automatic savings – now that’s comfort! So, call your trusted local HVAC company and they can show you how to get your automatic savings started today.